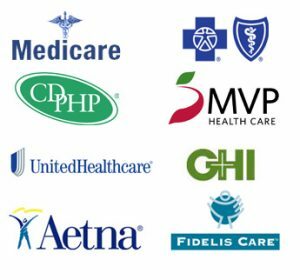 We understand you have many choices in your healthcare. We pride ourselves on providing high quality care that warrants your choice and personal investment in your care. Our highly trained experienced staff will take the time to thoroughly evaluate you and help you to understand your diagnosis. We will involve you in establishing your plan of care to ensure your goals, are our goals. New Scotland Physical Therapy, LLC is a physical therapist owned and operated outpatient physical therapy clinic. We provide highly skilled physical therapy care to residents of the town of New Scotland and surrounding communities, including Slingerlands, Voorheesville, Guilderland, Berne, Knox, and Westerlo. Our purpose is to be a valuable resource to the community that is convenient, comfortable and professional. 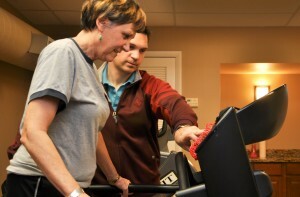 We have taken an extra effort to make your experience at physical therapy a positive one. Whether you are using the new state of the art equipment in our open gym area or benefiting from a treatment session in one of our comfortable private treatment rooms. We have taken pride in offering a modern and unique facility in a comfortable environment. Come relax before or after your session in our calm, relaxing waiting area with a cold or warm beverage. Read the health and wellness news provided to keep you as current in the healthcare news as possible. We are here to help you achieve more optimal wellness. Let us be your resource to better health.